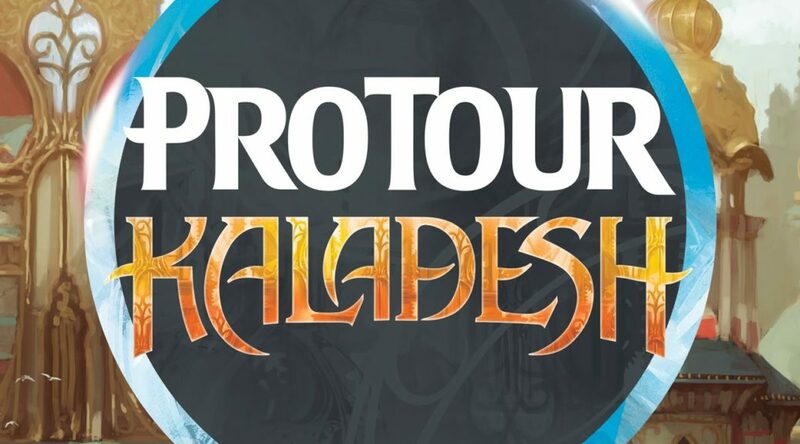 After sixteen rounds of excellent draft and Standard play full of fantastic strategic matches and a plethora of viable decks, the Top 8 of Pro Tour Kaladesh is shaping up to be one of the most varied and interesting in years. Note: There are 22 Harnessed Lightning, and 18 Ceremonious Rejection in the Top 8 but I removed these from list as lower rarities. Ceremonious Rejection was as popular in the Top 8 as the $4 Aether Hub (also an uncommon) so it might be good for some minor gains. The biggest under the radar story here is that Gideon, Ally of Zendikar is by far the most important mythic in the Top 8, with a tremendous seventeen copies across four of the top decks, including two different archetypes (RWx Vehicles & UW Flash). With copies still available under $20, it makes little sense if this card doesn’t swap prices with Chandra and head for $30 soon. Smuggler’s Copter may not be dominating to the extent many feared, but is certainly included in nearly every major aggro strategy as a four-of and the folks that were counting this card out based on camera coverage Friday were dead wrong. Looking at the bigger picture, this is a great sign that the format is healthy and likely to feature many options for players at the local level. The Copter that could shows up in every aggro deck in the Top 8, including four decks and three archetypes (RW Tokens, RWx Vehicles and UW Flash). I suspect it will continue on as an acceptable monster in lower level tournaments through the rest of the fall. Holding $12-15 seems likely for now, pending further SCG Open level results in the next few weeks. Toolcraft Exemplar is also a persistent four-of in the RWx Vehicle/Token strategies and could be a rare with room for growth at $2.50 or so. Despite the dominance of the Temur Aetherworks decks on both Day 1 and Day 2 of the metagame at 18% of the field, our Top 8 is full of unique decks that made up relatively small percentages of the field throughout the weekend. And while Aetherworks Marvel lead to both amazing and terrible turns all weekend as it’s pilots embraced the combo deck variance, Torrential Gearhulk looked fantastic every time it was on screen and in several different decklists, including Jeskai Control, Grixis Control and UR Control. The blue behemoth was definitely one of the breakout cards of the tournament (alongside Marvel) and is now carrying a $20 price tag as a result. Keep in mind that control cards tend to sell worse than aggro cards in Standard, and most of the decks running this card aren’t running the full complement. Chandra, Torch of Defiance seems doomed to failure this season, and I’d expect the card to fall towards $15 in a hurry now. Panharmonicon, which spiked earlier this week on speculation that it could be at the Pro Tour, was nowhere to be found, and is quite likely to fade back toward $5. Metalwork Colossus decks didn’t make the Top 8, but seem like a potentially more reliable combo strategy vs. Aetherworks Marvel, especially when combined with Sanctum of Ugin to chain the Colossi. The card is up to $4 from $2 this weekend, but may have trouble holding that price point pending further results at a high level. Likewise, Dynavolt Tower has made the Top 8, and has proven effective in both UR and Jeskai control builds throughout the weekend. This Kaladesh rare is available under $3 so far (up from just $.50), but could spike toward $5 if Degan makes the finals. Join us at 3pm Sunday EST (5pm PST) for Top 8 Coverage! Thanks so much for doing this! Great info! Aether Hub being so extensively played must surely merit some mention. Sure it’s an uncommon and the window for significant gains has largely passed but I see it being a good mid term hold. I would look to trade for them wherever possible. I agree that the card is important but not financially, since $4 for a fall set uncommon is already quite high. As we get additional duals in the spring, the value of this card will plummet.